Home / NEWS, CURRENT AFFAIRS & FEATURES / News & Encyclicals from Orthodox Patriarchates / INITIATIVE OF THE HEADS OF THE ORTHODOX CHURCHES OF THE MIDDLE EAST CONCERNING THE SITUATION OF THE CHRISTIANS IN THE REGION TO THE EUROPEAN UNION. 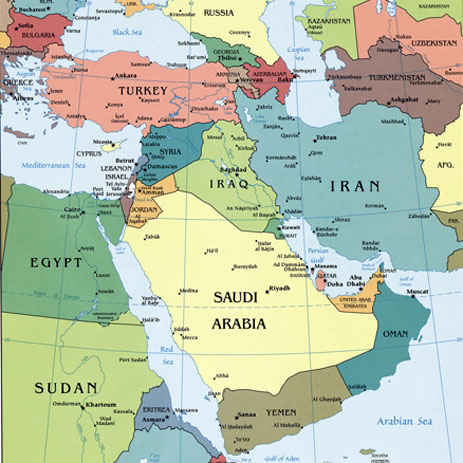 We Christians have been living in the region of the Middle East since ancient times. Therefore, we consider that all efforts aiming at ousting us are unreasonable and unjust. Even when other religions conquered our land, we have always managed to adjust ourselves and find ways of symbiosis and peaceful coexistence with them. However, the recent increasing influence of extreme fundamentalist elements in the region, directly jeopardizes the lives of Christians in their ancient cradles. We witness daily aggressions against Christian places of worship, killings of innocent people, violent acts and atrocities against Christian properties, as well as violations of the most elementary human rights of Christians. Christians are thus forced towards expatriation. Thousands have already left their ancient cradles and have become refugees in various parts of the world, seeking more security. We call upon the European Union and all those willing to intervene, in order to put an end to this blatant injustice. More specifically, we call upon them to exercise their influence in order to protect all aspects of religious freedom and worship in the region. Moreover, we would appeal to them to preserve and save from desecration and pillage the places of worship and the Christian cultural monuments in this tumultuous land, e.g. in Syria and the occupied Cyprus. These temples and monuments are part of the world cultural heritage, therefore belonging to Humanity as a whole. As Christian leaders, we call upon all the religious and political leaders and every person of good will to contribute to the peaceful coexistence of all the Communities in the Middle East. We reiterate the commitment of our Orthodox Churches to the Middle East Council of Churches and pursue through it the strengthening of relations among all Christians of the Middle East and the development of friendly, harmonious and peaceful relations among the believers of the Abrahamic religions. As Heads of the Orthodox Churches we cannot remain indifferent towards the challenges facing our region, in view of the political and socio-economic changes taking place there nowadays. We therefore underline the need for a peaceful solution of all conflicts, through constructive dialogue. Moreover, we stress that Syria is a country in which churches have always co-existed side by side with mosques, in a unique symbolism of symbiosis, fraternity and mutual respect, bringing people closer together. As Heads of Churches of the Middle East, Alexandria, Antioch, Jerusalem and Cyprus, we reiterate our commitment to support all the efforts and necessary initiatives, aiming at restoring peace and tranquillity in that country.